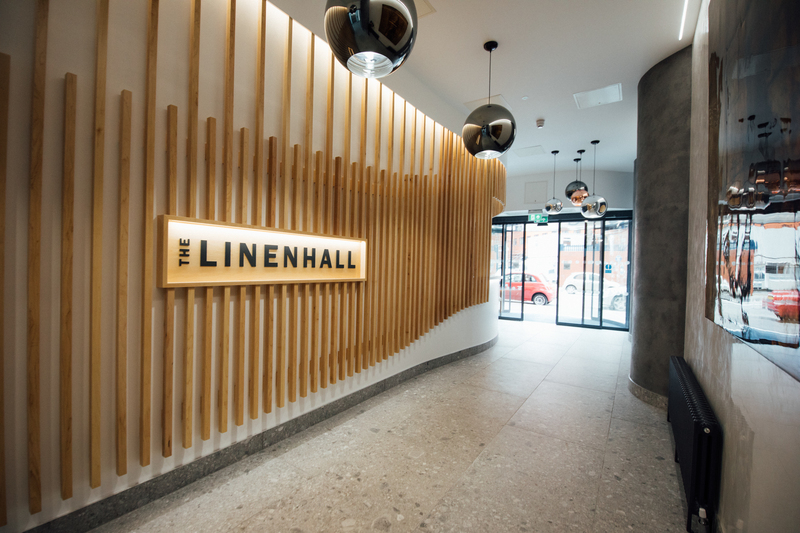 We recently completed this stunning lobby fit-out for our city centre client at Linenhall Plaza. 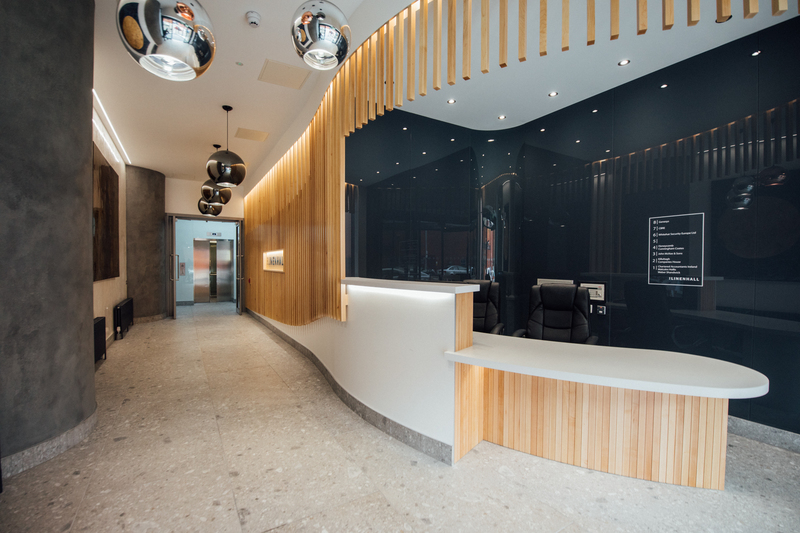 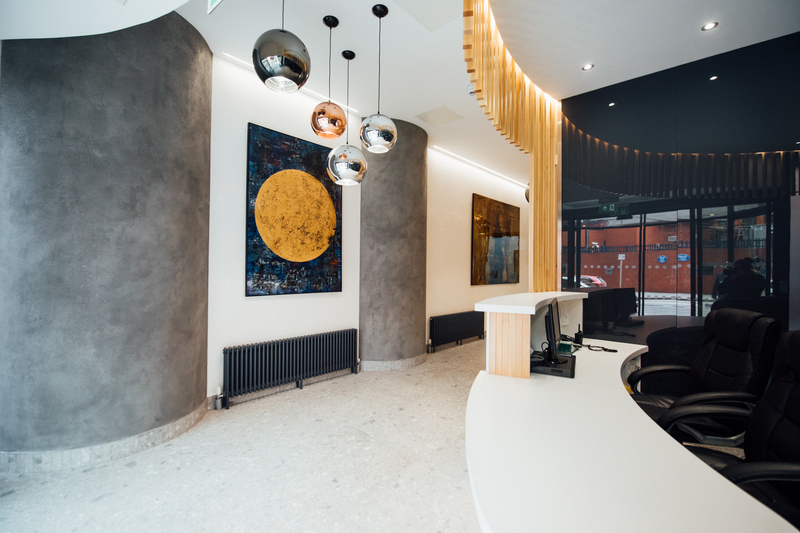 The project involved a full strip out of this striking lobby area with a new reception counter and a polished plaster finish to wall columns and ceramic floor tiles. 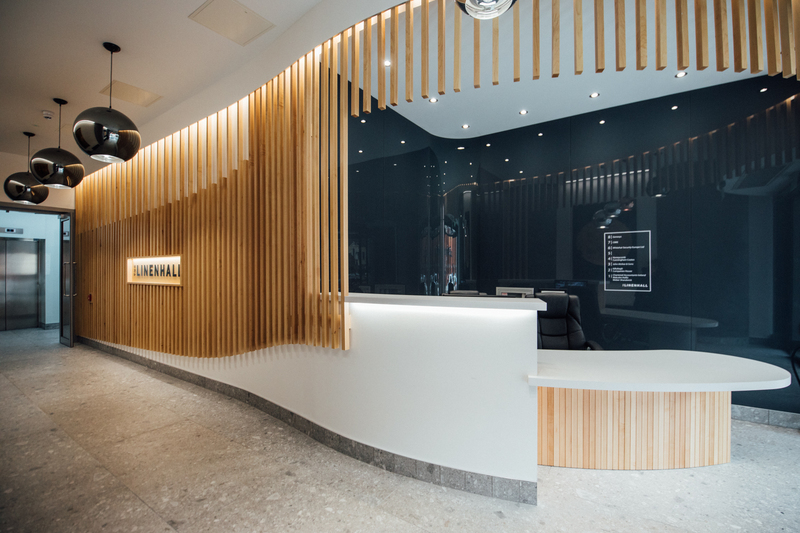 The curved feature wall was highlighted with maple battens which gave the appearance of a more spacious reception area. 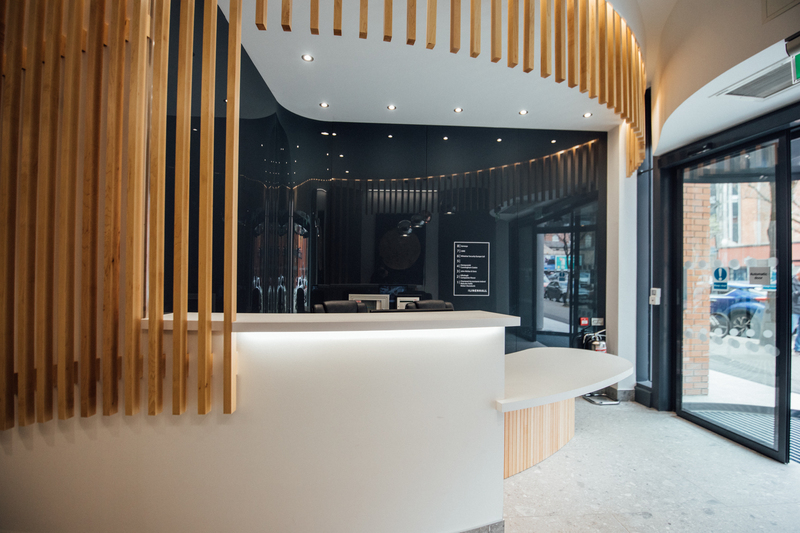 The exterior doors at the front of the building were transformed by the installation of an automatic semi-circular entrance, giving the structure a more impressive appearance. 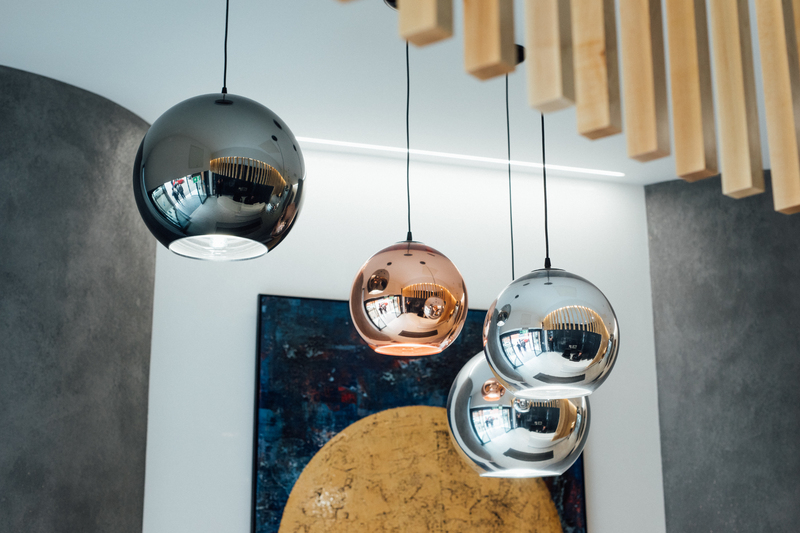 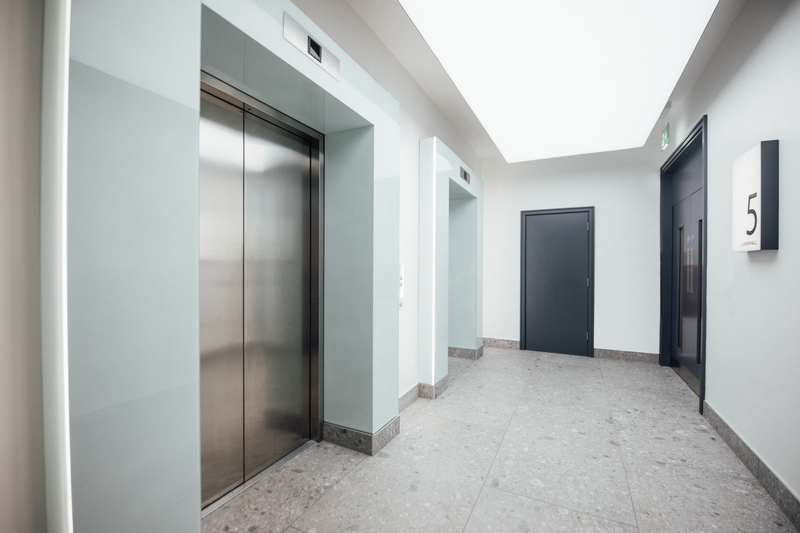 The four new lift lobbies now provide the tenants with bright and attractive accessibly via feature lighting and glass lift surrounds - a far cry from the previous timber clad installation. 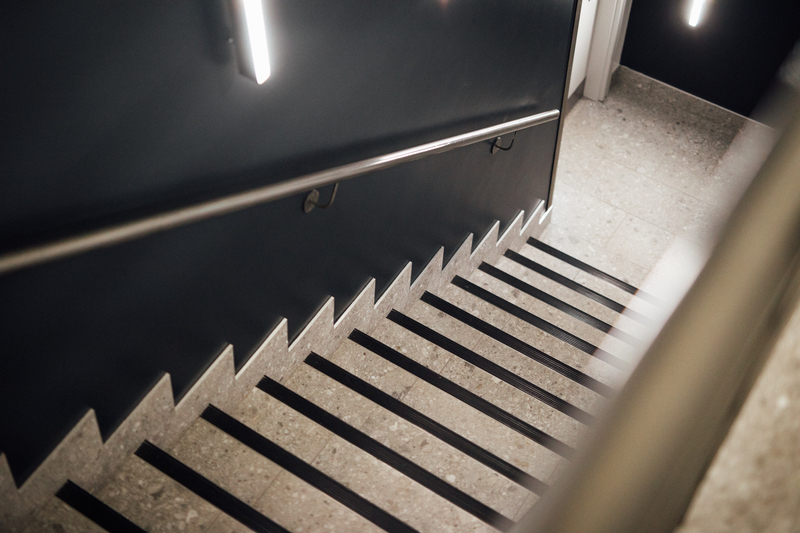 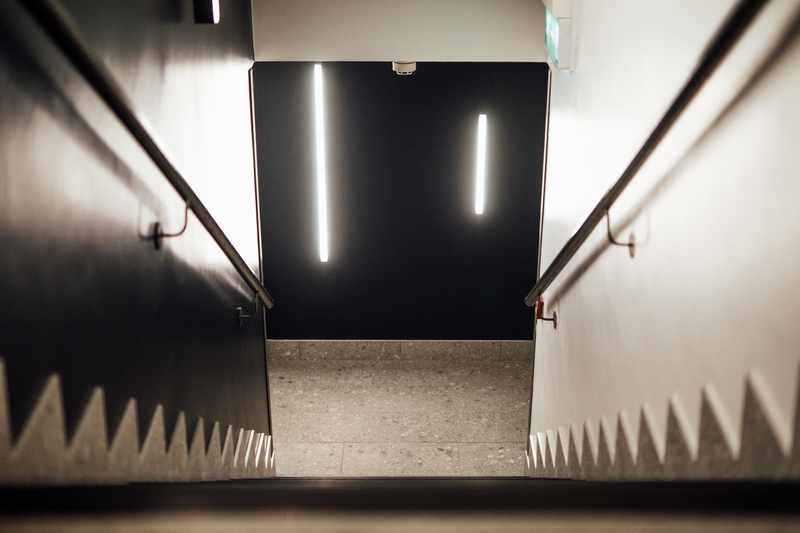 The upgraded stairwell leading to the basement was again, stripped back and given a full redecoration with stunning charcoal walls, polished ceramic tiled stairs and striking feature lighting.